One party member went on hunger strike to demand Labour ditch their pact with the SDLP and stand themselves. Pressure is mounting on the Labour Party to reverse its long standing position on Northern Ireland elections, ditch its pact with the socially conservative SDLP and allow its own candidates to stand. The Labour Party of Northern Ireland’s membership has increased ten-fold in the past two years, many joining to support Jeremy Corbyn — these new members now want candidates to stand in elections, and their voices are growing. The issue was brought to the fore recently by a short-lived hunger strike by Northern Irish Labour Party member, Matt Beeching. Calling for British Labour to permit candidates to stand in Northern Ireland, Beeching undertook his protest for a week in July. Beeching said at the time. Now, a former chair of LPNI has hit out at Labour saying they are hypocritical in their criticism of the Conservatives deal with the DUP, whilst they themselves have a long standing informal deal with the Social Democrat and Labour Party (SDLP). “The historical relationship with the SDLP is wrong. Labour are supporting conservative nationalist politics. The SDLP are pro-life and they aren’t in favour of integrated education”, said Kenny. Whilst the SDLP lost all their seats in the last Westminster election, traditionally SDLP MPs would take the Labour whip. The DUP, whilst holding contrasting views on the national question, share the SDLP’s positions on reproductive rights and education. The Labour Party last stood for election in what became Northern Ireland, in 1910. In 2015, LPNI voted to stand in elections, separately, stating they would not disband until party HQ supported them doing so. Yet Kenny states, “that was more like a publicity stunt, which has wound down. Most of us see that we need HQ to give us the go ahead.” Some members received warnings of expulsion, at this time. Jeremy Corbyn has expressed reluctance to reverse the long-standing position. However, he gained by vast majorities, the largest number of votes from Northern Irish members in the two most recent leadership elections. 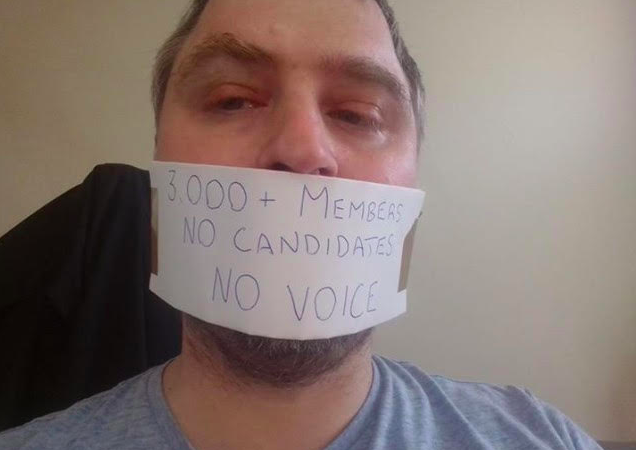 The membership increased from around 300 to 3,000 by September 2015, says Kenny and he argues that Corbyn was key to this. “I joined, like many to vote for Corbyn. Prior to his leadership, the party didn’t really exist. At the CLP meeting in 2016, about 72% voted for his leadership”, he said. But Kenny does not think Corbyn’s support for unity, matters much to LPNI members, who he states, see social issues as most important. “There is no such thing as an honest broker in Northern Ireland. But Corbyn’s view, of supporting unity by consent, is not a new position, it is common across the left and right of the party”, he said. What hope do Northern Irish Labour activists have of overturning the policy? The Northern Ireland CLP is currently undergoing a review by the NEC, which it is obliged to do, after a court ruling in 2005 solidified the right for Northern Irish citizens to join British Labour. The ruling states the NEC must review the right to stand, every Parliament. Kenny believes that Labour’s brand of socialism is the antidote to nationalism, of the green and orange kind. It seems however, that Northern Ireland might continue to be an ailment, too big, for British Labour to face. Kylie Noble is a freelance journalist, currently based in Belfast. She is a graduate of the University of Sheffield and Queen’s University Belfast. I want and demand that as a Labour Party paid up member and supporter of MOMENTUM that the Labour Party through its democratic membership and Executive immediately raise the withdrawal and exclusion from any pact or arrangement with any and all other legitimate political parties in Northern Ireland and to vote at National Conference for the extablishment of the right for Labour Party NI members to stand Labour Party NI candidates for South Belfast in the next local and upcoming national elections. Kylie says “Labour stopped standing candidates in 1910” However, this airbrushes out the Northern Ireland Labour Party which operated from the time of partition until the early 1970’s. It was mainly seen as tending towards the unionist position, but did have support in some nationalist areas. I had a number of Stormont MP’s and one Westminster MP in the 1940’s. It does no good until the party makes clear where it stands on the nationalist question. If it were take a neutral position, all well a good, but this would be a position capable of wither annoying or pleasing both communities. Remember that taking a unionist position in Scotland has severely hurt the Scottish Labour Party.